SURUS program offers commercial applications. General Motors may expand its fuel-cell research and development program with the U.S. Army, including the company’s new Silent Utility Rover Universal Superstructure platform, also known as SURUS. The Army has been testing the fuel cell-powered Chevrolet Colorado ZH2 on U.S. bases for the past six months to determine the viability of hydrogen-powered vehicles in military-mission tactical environments. Now the two sides are in talks to add the SURUS to that evaluation program. The SURUS is flexible fuel cell-powered, four-wheel concept with autonomous capabilities. 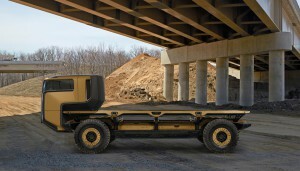 It is based on a heavy-duty truck frame and designed as a “foundation” for a new generation of commercial vehicles that leverages a single propulsion system integrated into a common chassis, according to GM officials. The Exportable Power Takeoff (EPTO) feature demonstrates how high-voltage DC from the fuel cell stack could be converted to both high- and low-voltage AC to power tools or equipment. The platform will be on display at the fall meeting of the Association of the U.S. Army next week in Washington, D.C. 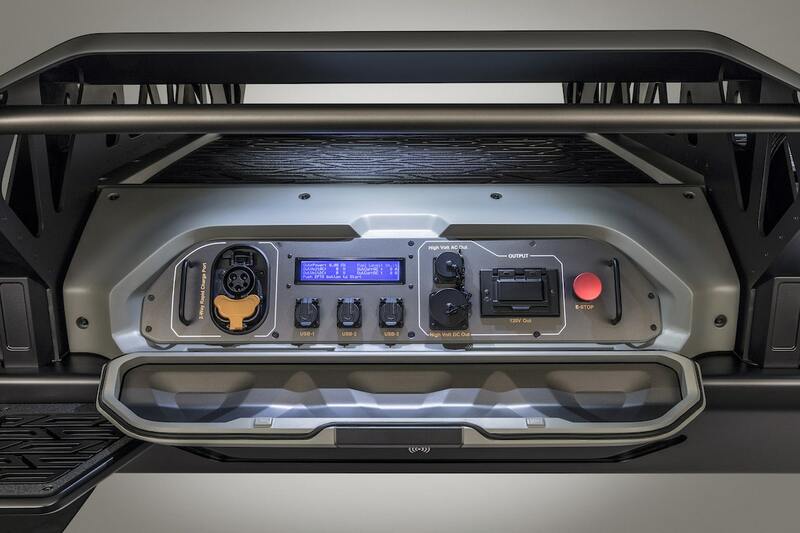 It can be configured for a wide-array of applications. Outside military solutions, GM is evaluating SURUS for a wide-range of applications such as freight; mobile and emergency backup power generation; light- and medium-duty trucks; and emergency rescue vehicles such as ambulances and others used in disaster-relief efforts, helping reduce human exposure to harm. GM says SURUS has a range of more than 400 miles and is about 16.5 feet long and 7.5 feet wide. In the meantime, the Army has been testing the Colorado in off-road conditions, evaluating power generation, reduced odor, acoustic and thermal signatures, high wheel torque, extended operating range and potential use of the byproduct water: all vital controllables for future military vehicles. This entry was posted on Friday, October 6th, 2017 at and is filed under Automobiles. You can follow any responses to this entry through the RSS 2.0 feed. Both comments and pings are currently closed.